If you've been following the Alt Appreciation series you'll know that I love alts I have multiples of the same class three Druids, four Paladins etc but I have only one Rogue and I'll only ever have one Rogue. Not because she's special to me, not because she's important to me but because I loathe the class! When it comes down to my love of classes I take a few things into account. Can they tank? Can they heal? Can they DPS from range? Most classes cover at least one, sometimes two of these. Rogues cover none. I hate playing Retribution but that's Ok because Paladins can both tank and heal. I created my Rogue during Wrath to help my Priest get her Insane title by farming lock boxes for Ravenholdt reputation. Afterwards I spent a little bit of time with a friend and got her to level 83 where she'll remain until I inevitably delete her. I just detest melee DPS and that's all a Rogue can do. Boo hiss! 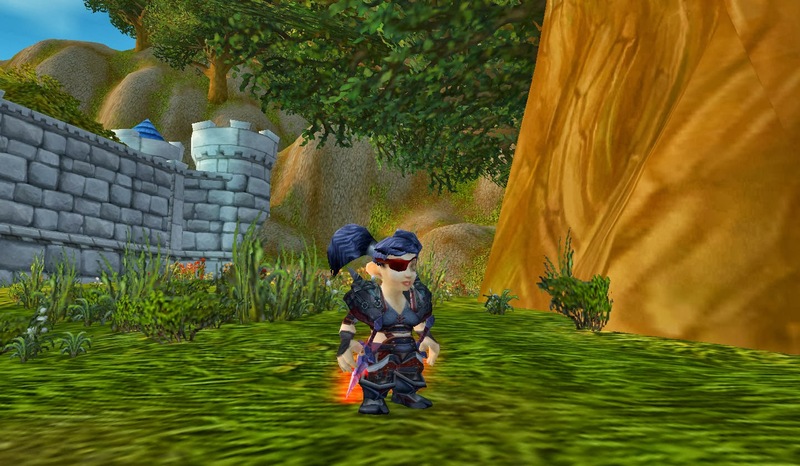 I hope your dislike is purely for the class and not that insanely cute little Gnome of yours! No it's purely for the class! I'd kind of like to roll a Gnome Priest but really I don't need any more Priests! I think that's perhaps my first hatred of playing the Rogue, my first character was a Warrior it was all about charging in! With Rogue I hate having to be all slow and stealthy! Just get in there and hit them in the face!